It was a rather quiet night as The Rio Olympics (6.3) continued to dominate on NBC, but was significantly down from it's usual results, but still above last Saturday. ABC came in second with the only non-sport original of the night was What Would You Do (0.9) which was up a tenth from last week and tied it's season high, it was sandwiched between repeats of Shark Tank (0.9) and 20/20 (0.9). 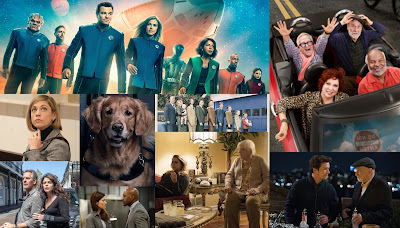 CBS had drama repeats with NCIS: Los Angeles (0.7), Hawaii Five-0 (0.7), and Blue Bloods (0.6). FOX had MLB Baseball: Rays at Yankees (0.5) which had a poor result and could only end up in fourth place. And The CW had repeats of Master of Illusion (0.3/0.3) and Penn and Teller: Fool Us (0.3) perform well by their standards.